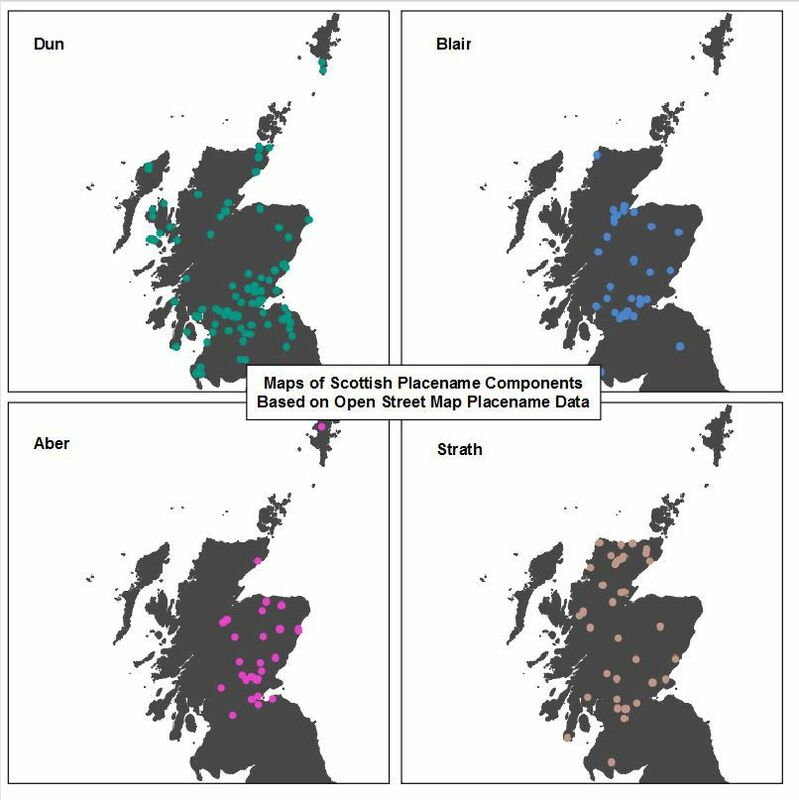 We meet many different people trying to do different things here at thinkWhere and one of our attendees at our QGIS Skills of Analysis & Statistics was particularly interested in looking at place names. Place names are a really interesting way of telling what kind of history a place has had. The Island of Jura is a great example of this deriving from an old Norse word meaning Animal Island. Common Scottish names such as Tarbert and Ben Mor are Gaelic derived place names translating as a narrow strip of land or a big hill respectively. While we often wonder about the originality of our forbears in how they choose to name things, these are the footprints of history in maps we use every day. They teach us about where we come from and how the peoples who come before us lived with their landscape. It’s very romantic and also a terrific thing for some GIS analysis. QGIS has some nice ways of helping with this kind of thing, alongside OpenStreetMap which is a rich source of place name data. The Ordnance Survey Open Names dataset would also work well for this kind of analysis. 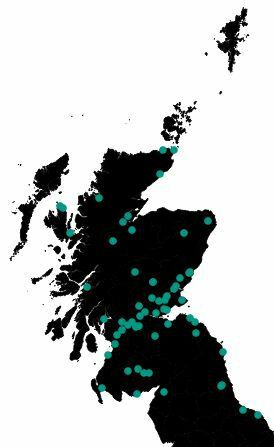 A common word found in Scottish place names is “Dun” meaning a hill fort or roundhouse in the Celtic tradition. This is sometimes rendered as “Dun” (as in Dundee or Dunfermline) or as “Dum” (As in Dumfries or Dumbarton). Less common in Scotland, although still prevalent in Ireland is the prefix “Don” (As in Donegal), however this gets confused in Scotland due to the River Don. Don in Scots Gaelic is more associated geographically with the Celtic river goddess. To select or filter for any words that contain those strings of letters. The ILIKE function (a case-insensitive LIKE) is a great way of doing these kind of analyses and you can use the “%” wildcard to make selections in almost any context. With a spot of good symbology and the use of the Print Composer to show multiple maps on the same page. You can show the distribution of a few different place name components. Having consistent maps next to each other on a page like this helps to show distribution. A really effective way of showing this kind of data can be to use the heatmap. The last few versions of QGIS have put this into the standard symbology tool which allows you to generate them on the fly without the need to create a whole new raster. This makes it much easier. This is what the distribution of “dun”/”dum” components looks like. The big problem with this kind of analysis is reliance on the data. The OpenStreetMap relies on users adding in data themselves and that makes an analysis of this nature a bit shaky with crowd sourced data. The OS Open Names dataset would be a great way of doing that, but it is a huge dataset that would need a database set up for it. We do cover database creation in our advanced QGIS course, but it would be a good follow up.